A princess and a future Canadian prime minister – the perfect recipe for a royal romance, perhaps even a marriage? 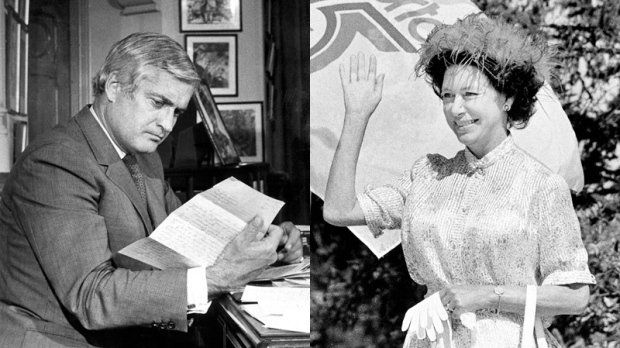 Newly-discovered letters obtained by the Daily Mail suggest the late British Princess Margaret, sister of Queen Elizabeth II, “nearly married” future Canadian prime minister John Turner. The letters, written by the princess between 1950 to 1966, were addressed to life-long friend, American socialite Sharman Douglas. In a letter from Kensington Palace on May 16, 1966, the princess referred to Turner as the man she "nearly married." "John Turner is here & we meet on Thursday. It will seem so funny as we haven’t met since I nearly married him & he’s bringing his wife!" she wrote. Turner was linked to Princess Margaret in 1958 after they met during her official tour of Canada, according to the Daily Mail. A Rhodes Scholar, Olympic-level sprinter and step-son of then-lieutenant governor of B.C., Turner caught the eye of the 28-year-old princess. Newspaper reports from the time described chemistry between the pair when they met. Speaking to the British-based Daily Mail last week, Turner, now 84, recalled the attention he and Princess Margaret received after their initial meeting. “I remember the attention very, very well. It was very uncomfortable," said Turner from his Toronto home. Although the pair never went public with their rumoured romance, reports said Turner visited Balmoral Castle a few times in the subsequent years. Buckingham Palace reportedly shut down the budding friendship. Princess Margaret later married photographer Antony Armstrong-Jones at Westminster Abbey in 1960, while Turner married his wife, Geills Turner, in 1963. More than 50 years later, Turner is still hesitant to talk about his relationship with the princess. "I have never talked about it and I am not going to start talking about it now," he said. Princess Margaret died in 2002 following a stroke.